On sale! 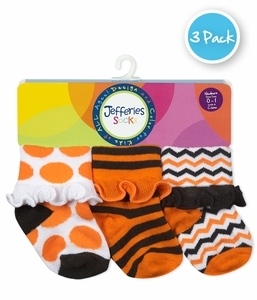 A three pair pack of Halloween socks trimmed with a ruffle cuff. In this three pair pack you get 1 pair of dot socks, 1 pair of stripe socks, and 1 pair of chevron socks.